Zimbio is a web site all about Hollywood and Entertainment. It’s a little more upscale than a pure gossip rag. What is great about Zimbio is that the front page is filled with large pictures. Each article features a jumbo picture of the celebrity featured along with a caption. If you just love Hollywood people watching you can scroll down throw all of the article pictures and read the captions. It’s a perfect brainless Entertainment news scoop and you don’t even have to click into the articles if you don’t want to. Because of the way the site is set up, you can look at pictures of the celebrities without having to wait too long for the site to load. Just scroll down for your daily eye candy fix. Zimbio covers both female and male Hollywood celebrities and is not just about fashion and beauty. Their other site (Stylebistro) which is also recommended and reviewed here, has more the fashion side of Hollywood. 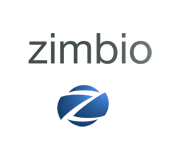 Zimbio is more about pictures, entertainment, style, current evens, people, celebrities and videos. Click the photo to visit the site.